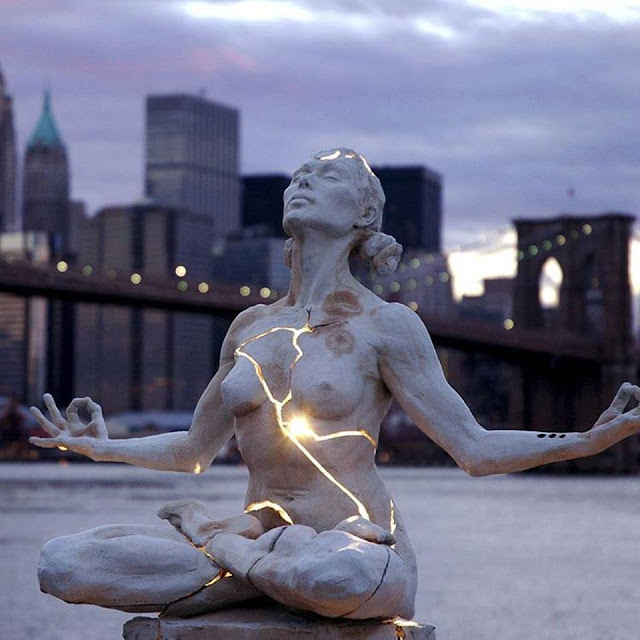 This sculpture is called "Expansion", created by the artist Paige Bradley who is a figurative artist and sculptor. When Paige first moved to New York she discovered that the human figure had generally disappeared from galleries, museums, important collections, art fairs and shows. There wasn't a place for figurative sculptors to exhibit their work. Curators and critics seemed to think everything figurative had already been done and real art was about being a "visionary". Paige knew that if she wanted to remain in the fine art field, she would need to make "contemporary" art. She says, "The art world was telling me I had to break down my foundation, let my walls crumble, expose myself completely, and from there I will find the true essence of what I needed to say." Paige took a wax sculpture of a woman meditating in the lotus position which she had sculpted with precision over several months and just dropped it on the floor. 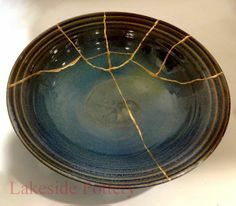 It shattered into many pieces. She had destroyed what she had originally made but trusted that it would all come together. The pieces were all cast in bronze and assembled so that they floated apart from one another. Lighting was used to make the new sculpture glow from within. 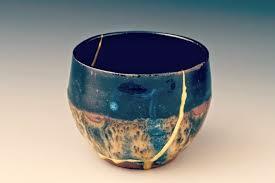 "Expansion" is reminiscent of kintsugi, or kintsukuroi, the Japanese art of repairing broken pottery with gold resin. The philosophy behind it is that breakage and repair are a part of something's history and should not be hidden or disguised. 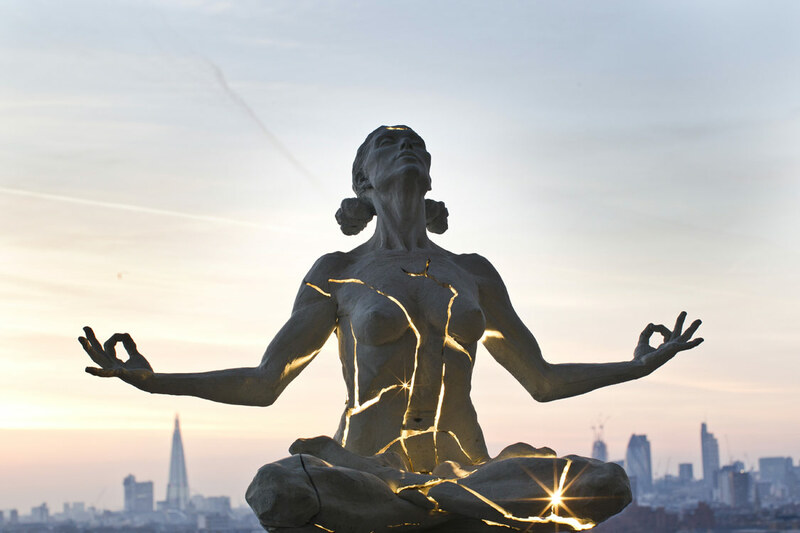 The breaks are not only repaired, they are illuminated, the unique imperfections are embraced. 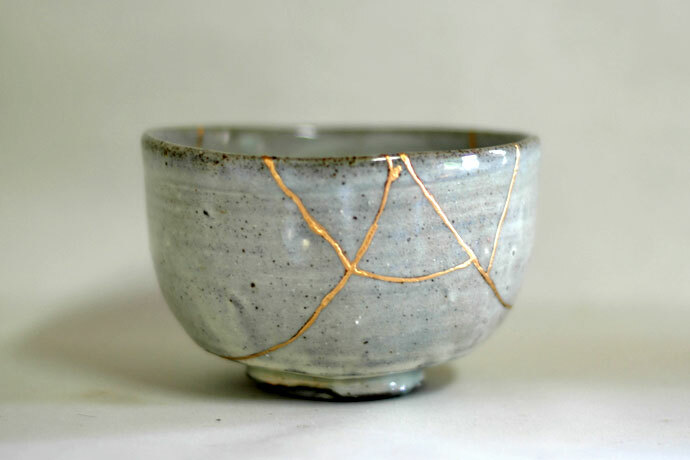 There is beauty in imperfection. I've ordered a print of Expansion for myself which I am going to put on a wall at home, for those days when I am hating my own "imperfections". It will be a reminder that my scars tell a story. 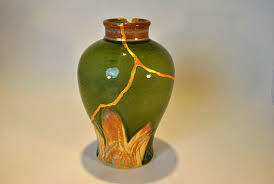 I've been broken, but I've been repaired. My body has a history, but it is alive. I will tell myself, there is beauty in imperfection.